NASHVILLE, Tenn.—Christian music’s premier multi-artist rock outing, the City RockFest Tour, recently wrapped its 24-city spring run. 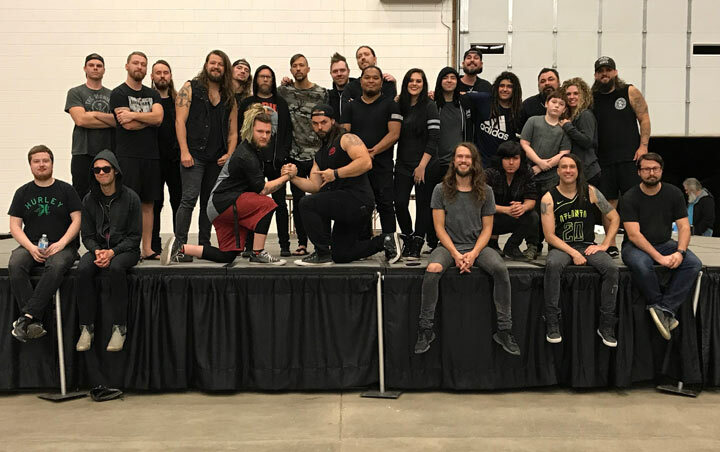 Headlined by Dove Award-winning Disciple, the third annual tour featured Seventh Day Slumber, Wolves at the Gate, Spoken, As We Ascend, Random Hero and The Protest. Presented by ChildFund International, nearly 300 children were sponsored during the tour. For more info on Disciple, visit the JFH Artists Database. For more info on Spoken, visit the JFH Artists Database. For more info on As We Ascend, visit the JFH Artists Database.